Visual inspection of light sensitive products is critical because manual inspection can be done in bright light and this light harms the light sensitive products. The pharmaceutical industry is dynamic by nature. Products in this industry are in a constant state of improvement and analysis. To keep the industry standards high, pharmaceutical products must be constantly checked for quality. One such area involves the visual inspection of light-sensitive products. As the name suggests, these products are light sensitive. This creates unique challenges when it comes to their inspection since they cannot be done without proper equipment and training. Such pharmaceutical products degrade when exposed to light and thus reduces their effectiveness over time. The light reacts with the chemical structure of the product and creates impurities, and these may lead to complex reactions in the end user of the product. Visual inspection of light-sensitive products is done mostly through machines equipped with visual capabilities. 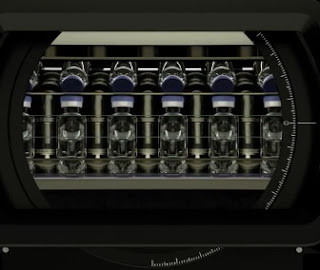 This works by combining live video feed from cameras to a computer that has been programmed to run multiple checks on the pharmaceutical product under consideration. Manual checks of the product could also be done by a specialist equipped with the right tools, but this would also take longer than if done by machine. Both manual and automated visual inspection systems may be used as they both carry valued benefits that complement each other. The gold standard for visual inspection is still human manual inspection. This is as stated in the European pharmacopeia of the Council of Europe. The reason for this is that humans reason and adapt on the fly means we can detect a moving object. When inspecting light-sensitive products, the environment adds variables that may affect the product. A static, computer-based analysis may allow for errors to go unnoticed. A human may factor in a normal variation in the change of a product and make the needed adjustments. Before the visual inspection of the light-sensitive product can take place, it's good to establish the chemical nature of the product under evaluation. These products are being affected by light because it's a form of energy. Different drugs react to different wavelengths of energy. Blue light being the strongest while red is the weakest. Factoring this in the inspection will give optimal results. The test area could be lit by dark colors eg. red or brown. It's good practice to do a test run on a sample for inspection rather than the entire finished product line. Have a controlled environment whereby there are no unknown variables. This includes factors such as heat. Heat and pharmaceuticals do not go hand in glove. Most light emitting sources will tend to produce a measure of heat. Know how the light sources will affect your inspection element. Having up to date information on the inspection elements' chemical interaction with heat is prudent. Amber colored glassware is the industry standard for storage of samples that will undergo inspection. When all variables to the inspection are accounted for it will help you develop the appropriate countermeasures and will deliver the optimum results. Visual inspection of light-sensitive products has come a long way since it's inception and is constantly improving the pharmaceutical landscape, thanks to rapidly improving technology. To avoid light Contact during visual inspection of light sensitive Product for LVP Product can we used Ambered colored PP /PE granules Bottles instead transparent PP/PE Bottles for Filling of light sensitive Product? If yes then please share reference guidelines.if no please elaborate it.